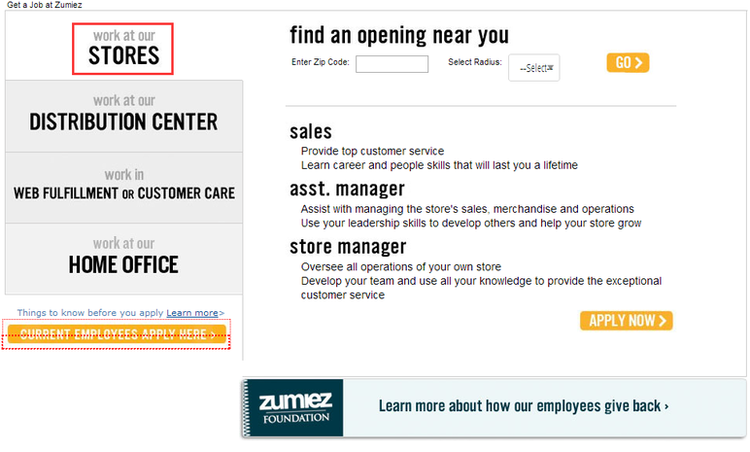 Go to zumiez.com/jobs, then you shall choose a career area from stores, distribution center, web fulfillment or customer care, and home office and enter your zip code to find job openings near you. Or you can simply choose one of the featured jobs listed on the page. 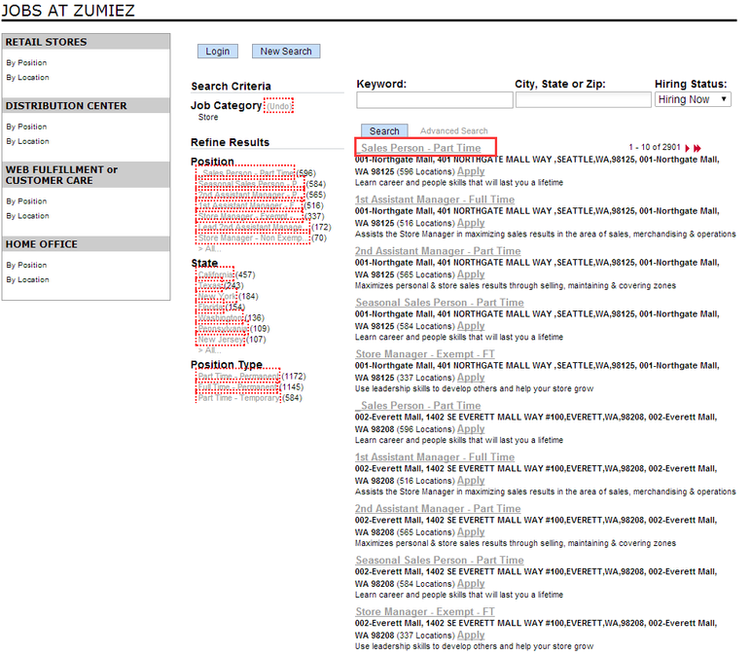 Certain job openings will be shown on the new page after you’ve chosen a career area and a nearby location. Select one you are able to be qualified and apply for it right now after you’ve read thoroughly about the job description. 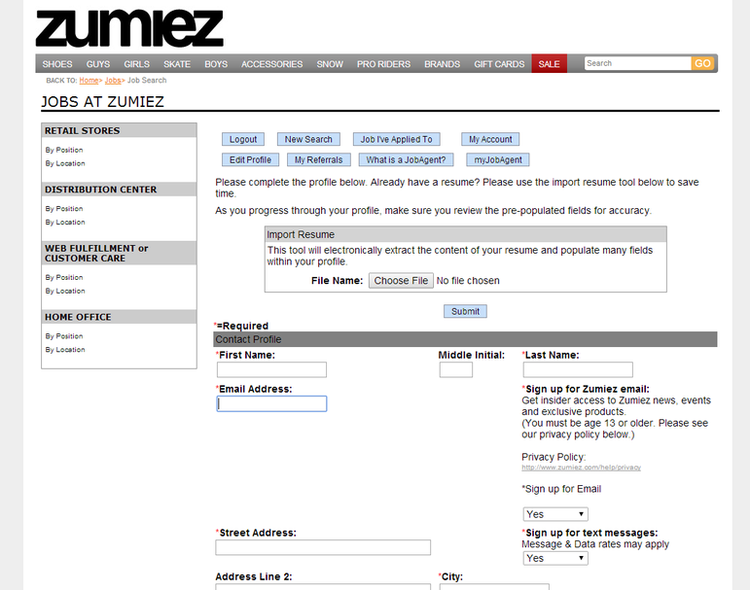 You shall sign in if you have already registered at Zumiez to continue your application. 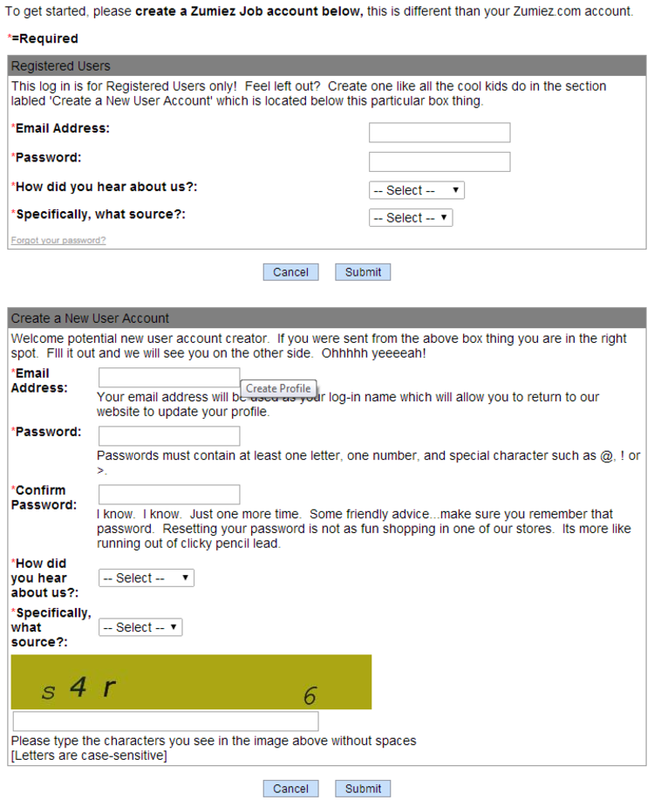 If you are new user, you’re required to create a new account and set up three questions for verification before going any farther. In this step, you need to upload your resume to prove your qualifications and create your contact profile by entering some basic information like your name, phone number, email address, employment history and so on. Review all the information you have filled out before submitting it. You can just wait for Zumiez’s contact after you’ve completed your online application. Click zumiez.com/jobs to apply for Zumiez jobs online.